Alternative Perspectives | Is Sustainable Tourism a New Idea? Is Sustainable Tourism a New Idea? The World Tourism and Travel Council estimates that the tourism sector will grow at a rate of 7% annually over the next decade1, an estimate that may well be somewhat conservative. The sector can also generate significant demand for transportation, resource-heavy infrastructure and energy-intensive activities leading to undesirable ecological damage and climate-related impacts and disparity and inequity in the local population – making the rich richer and the poor poorer in most cases. “Tourism that takes full account of its current and future economic, social and environmental impacts, addressing the needs of visitors, the industry, the environment and host communities”. The concept can be visualised coherently, as in the given figure. It is an overlap stemming from environmental conservation, community ownership and decent livelihoods. According to The International Ecotourism Society (TIES), the ultimate goal of ecotourism, which is a major component of sustainable tourism, is to ensure economic and social well-being of local people, in addition to maintaining natural resources in their current state. Sustainable tourism is garnering global acceptance and popularity with many small-scale, social initiatives being funded and promoted by philanthropists and impact investors. The global giant, World Bank is leading sustainable tourism initiatives such as the Global Wildlife Programme (GWP) that works towards achieving wildlife conservation by investing in tourism that benefits local wildlife and communities in 19 countries across Asia and Africa3. • Inclusion of the local population so as to provide economic benefits to them through renting accommodation, buying products and services etc. • Making the operators’ activities environmentally sound, such as guidelines for shared transport, sustainable lodging, waste management practices etc. Though India lacks in having such precise systems in place, some remarkable ecotourism initiatives are being demonstrated by Desia (Odisha)4, Ecosphere (Spiti)5 and Green People India (Uttarakhand)6. These effectively overlap responsible tourism with promotion of culture and local livelihood skills which often include agriculture, animal husbandry, horticulture, crafts and cuisine. Social and economic benefits for the community are additional high value outcomes. Such functional models are proving to be emancipative for the communities, both socially and economically, whilst also supporting the ecology of the area. The Green People India Initiative, successfully running in the mountains of Uttarakhand, diligently works towards a responsible agro-tourism movement. They work with impoverished, marginalised farmers to get better prices for indigenous products such as horse gram, red rice, amaranth, mandua, rajma etc. These crops have been traditionally grown and consumed in the area, and bringing them to a bigger market supports the small farmers by excluding all middlemen. 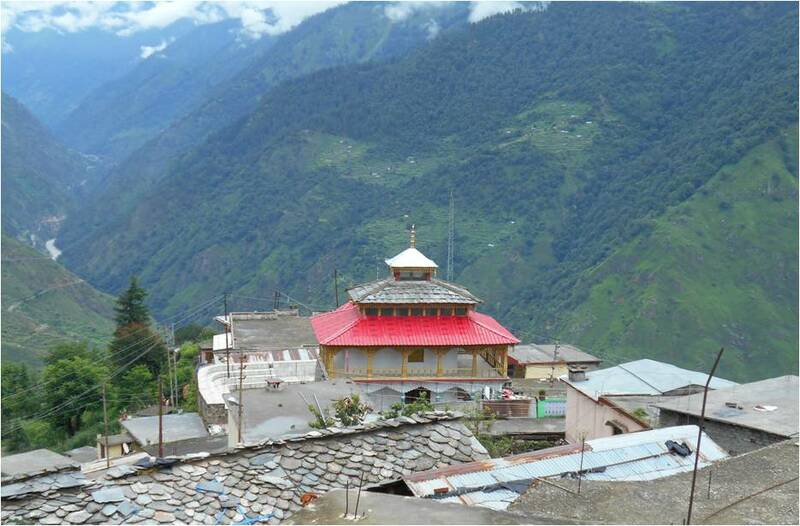 The initiative has also collaborated with local people to set up non-luxury, local-run home-stays for the adventurous traveler, giving them an opportunity to soak in the inherent pace of life on the mountains, enhanced by local food and culture experiences. The initiatives, in general, have been instrumental in working towards rehabilitation after the post 2013 floods and also addressing the problem of abandonment leading to creation of ghost villages in the state. The next step here would be to link them to international accreditation bodies (for organic, ecotourism labels) or setting up an Indian equivalent to earn them more credibility and respect in the market. Data from a survey by an e-commerce agency also supports the claim that most travellers always or often opt for responsible travel. They are also known to be willing to shell out extra money, in this case at least 15%7 more to ensure a low impact on the environment around them. The sustainability aspect adds a positive experience to the trip, which is usually through buying local-made products, staying in eco-stays and indulging in local food at neighbourhood eateries. Various aspects of the sustainable tourism model are implemented all over the world as per the community needs and existing policy support. Developmental tourism, for once, is the most widely accepted model as it usually results in quick, visible results of economic betterment. The concern thus becomes a lack of attention to social equity and environmental issues. 1. Involvement of women and youth: With an objective of focusing on harnessing potential of women and the youth in the community, there will be directed attempts to create livelihoods based on skills that they already possess. These may range from culinary skills, trekking expertise, craft mastery and skills for hospitality and management of homestays. 2. Better communication: To highlight a beautiful, unexplored place on the state’s tourism map, we aim to introduce the community to the power of social media and knowledge products for sharing their wisdom and heritage with the world. 3. Climate change: Introducing the community to impacts of climate change is crucial as the Himalayan ecosystem is fragile and vulnerable to disastrous manifestations of the phenomenon. It would also be an additional resilience measure to promote and adopt local crops and low-impact lifestyle patterns that have been a natural choice for their ancestors. While we understand that preserving nature in its pristine form is crucial in today’s world, we certainly see sustainable tourism as a harbinger of change and betterment for communities in some of these inhabited areas. Intervening with the right livelihood options for the people and sensitising them to the fragility of the environment on which their livelihoods depend would be paramount to sustaining the developmental model. There is a national policy focus on the subject too, with state governments drafting their own ecotourism policies that propose collaboration between the departments of tourism and forest. Many states such as Sikkim, Uttarakhand, Himachal Pradesh, Rajasthan have policies or draft guidelines on the subject8. We are hopeful the movement will gain momentum in the country with more beautiful, responsibly managed destinations welcoming sensitised and curious travelers for exploration!